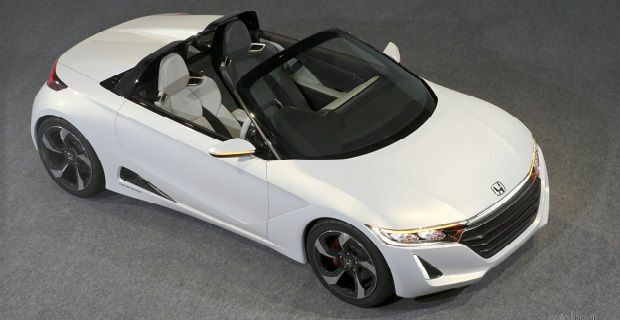 Ahead of its official launch at the Tokyo Motor Show, Honda has revealed a few images and specs for the Honda S660 concept. The Japanese marque describe the car as “an open-top sports-type mini-vehicle” which doesn’t tell you anything that you couldn’t already gauge from the images but the name gives us more of a clue as to the firm’s intentions. The S660 is a spiritual successor to the S600 sports car of the 1960s and the name also suggests that a 660cc engine will be provide the power. As the car’s pretty small and the engine capacity’s also tiny, we’re expecting this machine to be aimed at the Japanese Kei car market. These Kei machines are designed to comply with tax regulations which dictate that they can’t be more than 3.4 metres long and 1.49 metres wide, and that they must have a 660cc displacement. These regulations make them cheap cars to run in their domestic market. Unfortunately for the rest of the world, cars made for these rules are normally too small and underpowered to make an impact on the marketplace, so there’s no guarantee that we’ll ever see one of these on British roads. Surely Honda’s European dealerships would love to sell something unique to help boost sales and subtly change the brand’s image. This is a concept so the final specs have yet to be agreed but from the images we can see that inside the driver gets a paddle shift gearbox and a digital dash and the sort of sparse interior you’d expect from a sports car. Honda will also be using the 2013 Tokyo Motor Show to unveil the new NSX concept and promise a new SUV crossover, both of which will be available across the world. A plug-in version of the Honda Accord will also be on the Japanese manufacturer’s stand.